Right here in the prestigious and if I may say conservative Journal of the American Medical Association is an article challenging the practice of giving seasonal flu shots. How about that. Officials and professional societies treat influenza as a major public health threat for which the annual vaccine offers a safe and effective solution. In this article, I challenge these basic assumptions. I show that there is no good evidence that vaccines reduce serious complications of influenza, the outcomes the policy is meant to address. Moreover, promotional messages conflate “influenza” (disease caused by influenza viruses) with “flu” (a syndrome with many causes, of which influenza viruses appear to be a minor contributor). This lack of precision causes physicians and potential vaccine recipients to have unrealistic assumptions about the vaccine’s potential benefit, and impedes dissemination of the evidence on nonpharmaceutical interventions against respiratory diseases. In addition, there are potential vaccine-related harms, as unexpected and serious adverse effects of influenza vaccines have occurred. I argue that decisions surrounding influenza vaccines need to include a discussion of these risks and benefits. Nearly every influential professional society has endorsed the Centers for Disease Control and Prevention (CDC) recommendation of influenza vaccine for all people 6 months and older. Beyond reviewing the vaccines’ contraindications, why might a practicing physician want to do their own homework on the benefits and risks of influenza vaccines? The answer is that the disease is less fearful than advertised, the vaccines are less beneficial than believed, and the harms of vaccines are not easily dismissed. First, influenza vaccines have a zero chance of benefitting most recipients, since the majority of Americans do not annually contract influenza. 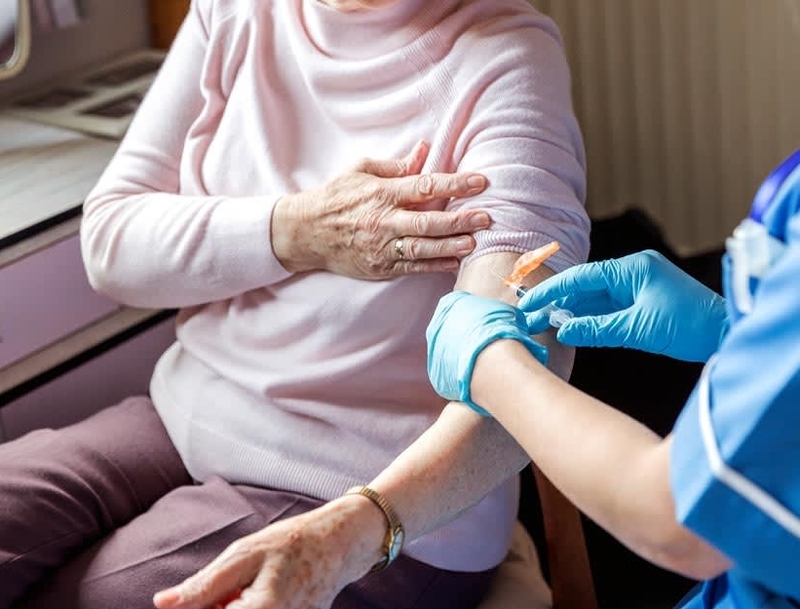 A recent Cochrane systematic review found that between 33 and 100 healthy adults would need to be vaccinated to avoid the onset of influenza symptoms in 1 individual. Furthermore, decisions over influenza vaccination should be considered in the context of the likely case that the public assumes that so called flu shots are designed to prevent “flu” and its complications. However “flu,” better known as influenza-like illness, while arguably a very patient-centered and clinically relevant syndrome, has hundreds of known and unknown causes, of which influenza is just one. A reanalysis of the placebo and do-nothing arms of 88 vaccine studies suggested that the proportion of influenza-like illness caused by influenza is on average 7%. While promotional materials typically refer to influenza as “flu,” potential vaccine recipients should be educated about the distinction and its relevance to influenza vaccine performance against outcomes they wish to avoid. It is tempting to think that vaccination still represents an intervention whose benefit — even if smaller than thought and based on poor-quality evidence — is still better than nothing. Even among groups that have acknowledged the aforementioned facts I listed, many remain supportive of CDC’s universal vaccination policy. But this position necessarily makes light of potential vaccine-related harms. Cochrane reviews have noted serious deficiencies in safety outcome reporting in published influenza vaccine trials, suggesting a lack of understanding of the true safety profile of influenza vaccines that hampers an ability to weigh potential benefits against harms. While Guillain-Barre Syndrome* has been the most widely discussed influenza vaccine-related harm following its dramatic appearance during the 1976 “swine flu” scare, it is not the only risk associated with influenza vaccine. In 2009, Australia suspended its universal vaccination program for children younger than 5 years because of a surge in febrile convulsions following vaccination (1 in 110 children). Also in 2009, cases of narcolepsy following vaccination in adolescents were reported in Finland and Sweden. Official inquiries into these events have confirmed influenza vaccine’s role in all 3 countries, with the precise biological mechanisms still not understood. In Canada, epidemiologic investigations indicate that persons who received a seasonal influenza vaccine in 2008 had an increased risk of acquiring “pandemic” H1N1 in 2009 (perhaps by inhibiting antibodies relevant to heterosubtypic immunity) — important considering H1N1 vaccine generally arrived past most epidemic peaks. These events received scant coverage in the American scientific and lay presses. The adverse events of 2009 arguably only came to light because their incidence was approximately 10 times the background rate, and surveillance systems were heightened because of concerns over H1N1. We must always remember that influenza vaccines are biologics, and biologic manufacturing is messy, with risks of contamination far in excess of drug production. For biologics produced anew each year, these unfortunate events demonstrate that good past experience is not necessarily predictive of future vaccine safety. Other researchers have reported that annual influenza vaccination hampers development of CD8 T-cell immunity in children. At a societal level, successful public health campaigns are only possible (and ethical) with the cooperation and buy-in of the public they serve. But as current influenza vaccine campaigns are based on information asymmetries — in which the public’s understanding of potential vaccine benefit and potential harms is incompatible with the evidence — the public trust is risked by a continuation of the status quo. Lost amidst the hum of annual influenza vaccine campaigns is the basic fact that influenza vaccines target a disease that is, for most people, self-limiting. While unpleasant, today, tragedies are rare. And for those who wish to be proactive, systematic reviews of nonpharmaceutical interventions largely based on studies of severe acute respiratory syndrome — have shown impressive evidence that measures like handwashing and wearing masks and gowns reduce the incidence of respiratory diseases. Large head-to-head trials comparing vaccines against measures such as handwashing are needed. To summarize, the evidence that influenza represents a threat of public health proportions is questionable, the evidence that influenza vaccines reduce important patient-centered outcomes such as mortality is unreliable, the assumption that past influenza vaccine safety is predictive of future experience is unsound, and nonpharmaceutical interventions to manage influenza-like illness exist. * Guillain-Barre Syndrome – A condition in which the immune system attacks the nerves. Results in pain, weakness, and loss of function. I did not know there was such an array of harms, documented harms, associated with the flu shot. What harms have occurred, are occurring, that are not documented? Why don’t healthcare workers who recommend the vaccine discuss the full extent of risks? Do they know them? Who is in charge of making sure they know them? My trust in the CDC has been ratcheted down a few notches. This entry was posted in Uncategorized on December 3, 2018 by Bix. I’m so glad to see this, and in JAMA no less. I can’t believe that drug companies’ greed has extended to something as simple as a flu shot. The pharmacy we use charges $43 for the regular Quad-shot and $77 for Fluzone high-dose, which they now automatically give to anyone over 65. This is not a public health campaign; it’s being done for industry profit. Vaccines have always been racketeering in medicine. Just tobacco science. To buy this crap it’s better one doesn’t know how to read. The good side is that their advocates take them. Hopefully, lots of them. Along with their statins, corn oil, antibiotics et al. This way to die faster and harder. Which seems to happening a lot more to this lot if med stats are to be believed. Life has a way of paying you out and in this case the sentence of humbris is misery and death. Get off the planet chumps. Get out of the way. Especially the doctors, academicians, regulators, hospital admins, drug company bozos. Parasites the lot. They have waxed rich by immiserating others. Now, it’s time to get paid out. Go take some more vaccines. Due to my earlier experience with the flu shot and my efforts to learn more about the constant barrage of voices (and signs) saying get your flu shot or else, this post today is balm to my soul. I’ve actually sometimes felt guilty and defensive when explaining not getting the shot. Really dumb I know. Thanks for this post.